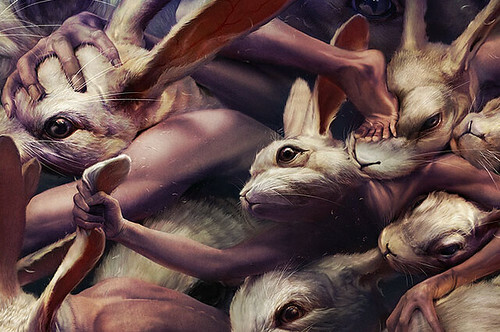 On the show this week we highlighted surrealist/fantasy painter and illustrator Ryohei Hase from Tokyo, Japan. He created works for book covers, the web, games, and magazine, and he exhibits his paintings regularly in Tokyo. More of his work after the jump. 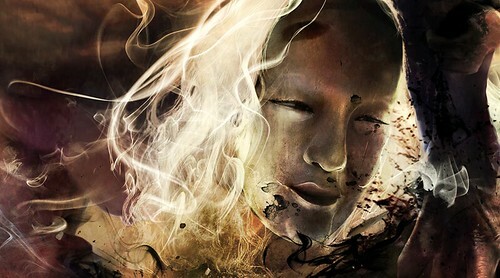 Ryohei recently had four of him images included in a book called Fantasy Art Now. With his attention to detail and amazing technical skills, it's no wonder that he's getting a lot of attention. 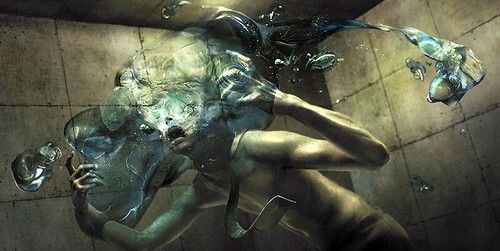 And even more cool is this tutorial he posted on deviantART showing exactly how he created one of his pieces.